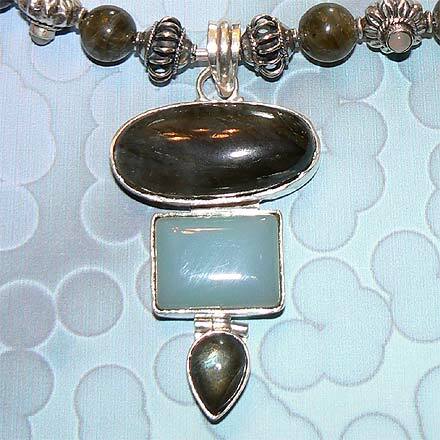 Sterling Silver Labradorite and Chalcedony Necklace. See Closeup. 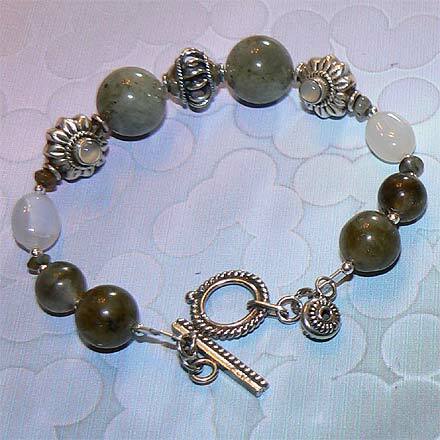 Sterling Silver Labradorite and Chalcedony Bracelet. 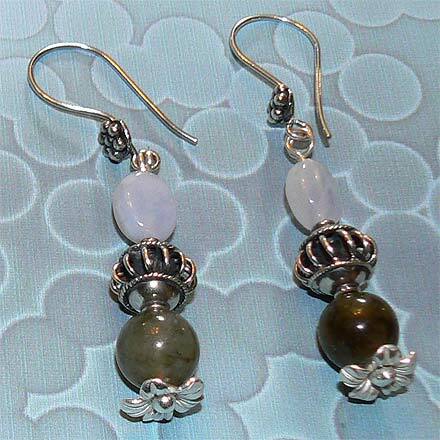 Sterling Silver Labradorite and Chalcedony Earrings. 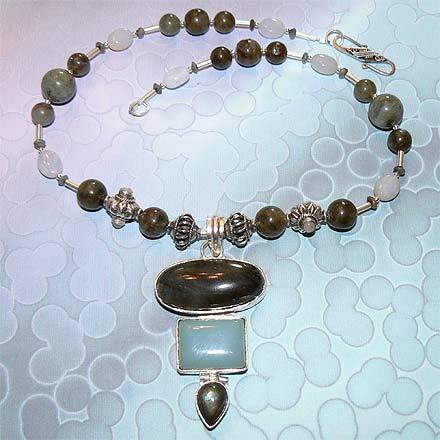 A unique combination of stones: flashing Labradorite and milky blue Chalcedony. This 17¼" necklace and matching 7¾" bracelet feature some lovely flower-style silver beads with little Chalcedony cabachons set on both sides. The pendant is 2.7". The earrings are strung on Thai silver headpins with a lovely flower end. Please note that Thai silver actually contains a higher silver content than Bali or Sterling silver. For those who are interested in Astrological significances of stones, Agate, or Chalcedony, corresponds with Gemini and Capricorn.